Bring your own healthy snacks or create delicious home made ice pops with one product! 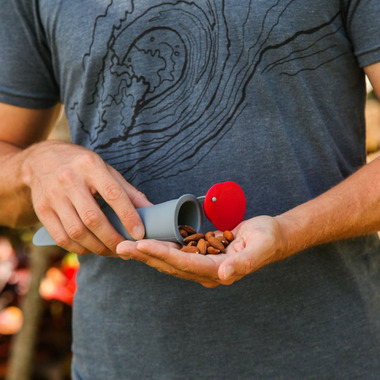 The Slim Snack is a snack holder that doubles as a drip-free pop mold! Its air tight seal and slim design fit neatly into tight spaces like purses, gym bags and lunchboxes, where other snack containers would not. 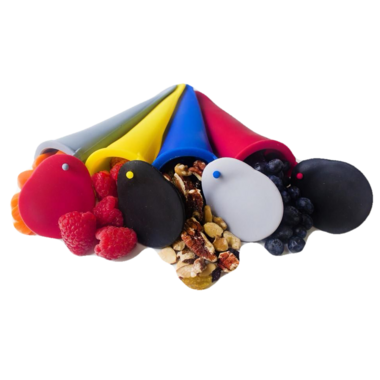 Made from 100% non-toxic food grade silicone, the Slim Snack is perfect for post workout nuts and granola, raw veggie sticks, raisins, pomegranate seeds and much more. You can blend your own fruits for home made pops...think pineapples, bananas, and blueberries. You can even turn your sweet green smoothies into frozen treats! It is also perfect for home made 'go-gurts' for the kids, instead of pre-packaged yogurts and snacks. It was awesome to find these on your website. I use these everyday to make a frozen treat for my special low carb diet. I couldnâ€™t be without them!!! Thankyou! !